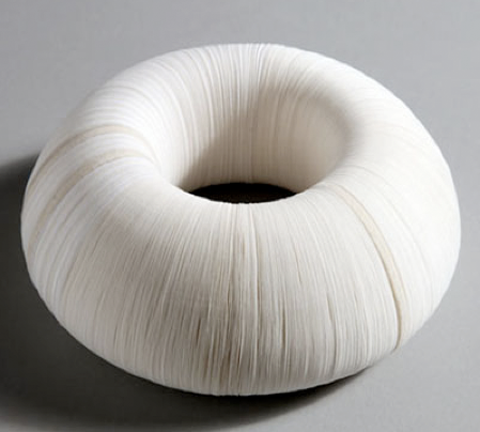 Ever since I came across Angela O Kelly’s work for the first time in Sarah Kelly’s book Paper Jewellery I’ve been a huge fan. 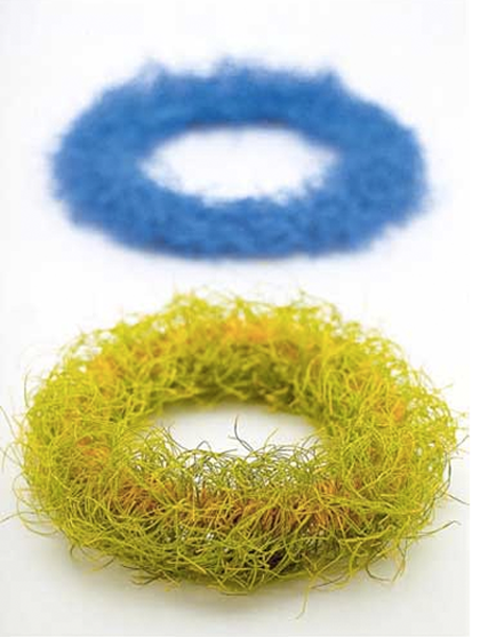 Angela is a contemporary jeweller working with different mixed media materials – paper and even paper yarns are only two of the materials she uses but they do appear on a regular basis in her work. Angela’s homepage is full of wonderfully photographed pictures of her pieces. 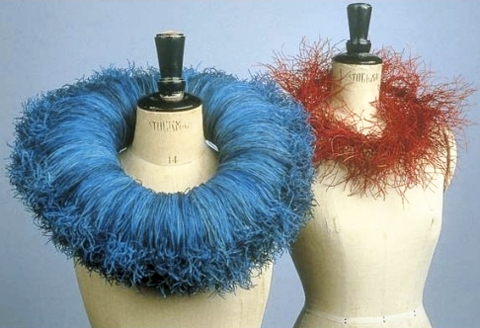 Angela studied Jewellery and Silversmithing at the Edinburgh College of Art, Edinburgh and Arts Management and Cultural Policy in University College Dublin. 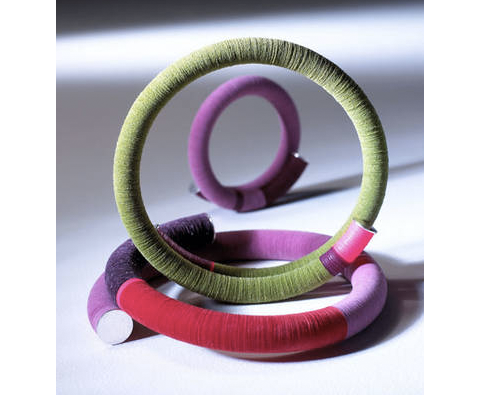 As Angela explains herself her “… work in paper jewellery began when experimenting with paper making and paper manipulation while studying for a jewellery degree at Edinburgh (…). 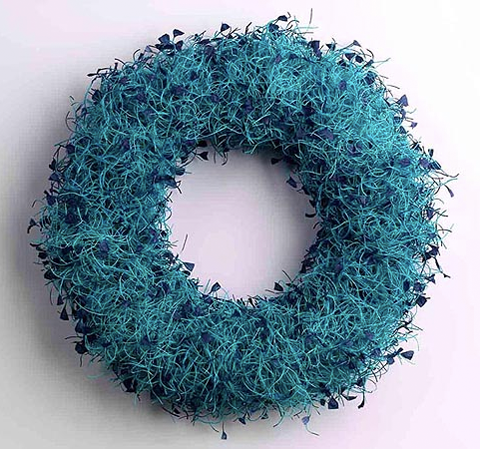 I found that I could achieve a spontaneous, light, tactile and colourful effect when working with paper.” Today Angela combines paper with other materials – e.g. 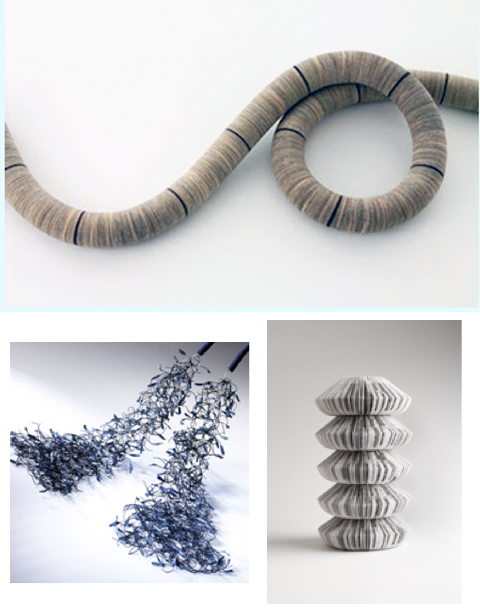 fabric, felt, metal and cord – and uses a wide range of textile and jewelry techniques constantly crossing the boundaries between sculpture, textile art and jewelry design. As you might imagine I find Angela’s pieces fascinating. 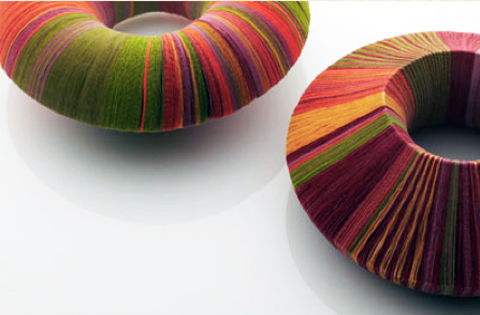 Once again paper is a medium that allows to cross the boundaries – in this case between sculpture, textile design and jewelry arts. Also the combination of paper with other materials is underlining the qualitites of paper – it’s structural soundness and only perceived fragility – and of course the play of colors in Angela’s work is just amazing.